We have extended the deadline to register for the youth event this summer until Sunday, April 15, but this is the LAST CALL. We need to have all registrations and deposit money in by the 15th. Called 2 Follow takes place July 17-20 at Grand View University in Des Moines, IA and all information including speakers, breakouts, service projects, the agenda, and more can be found under "Events" our website. The deadline to register for our upcoming high school youth event, Called 2 Follow, is next Saturday, March 31st! Participants will gain practical life advice through interactive keynote presentations and breakout sessions, make a real difference in the local community by taking part in service projects, and connect with other people in LCMC while enjoying games, music, inflatables, and ice cream. For groups wishing to stay an extra day, we have made arrangements with Adventureland Resort & Amusement Park in Altoona, IA to make discounted tickets available for Called 2 Follow participants. Tickets are $38 each and can be purchased by selecting the appropriate option on your registration form. 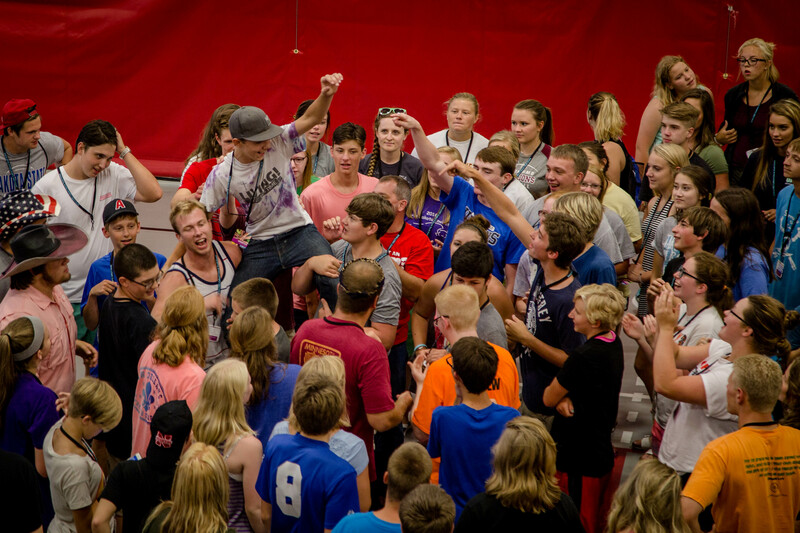 The event takes place July 17-20 at Grand View University in Des Moines, IA and is open to high school students completing grades 8-12, youth leaders, and chaperones. To register online, click here. For updates on this and other LCMC events, be sure to sign up to receive event notifications in our mobile app. We use this feature to notify you when registration opens for your favorite events, when a deadline related to an event you’ve selected is approaching, and when any major new details get announced for that event. (For Three Days of Prayer, you’ll receive a message reflecting on the themes during each of the three days.) App users who sign up for these types of notifications will only receive announcements for the specific events they’ve opted in for. 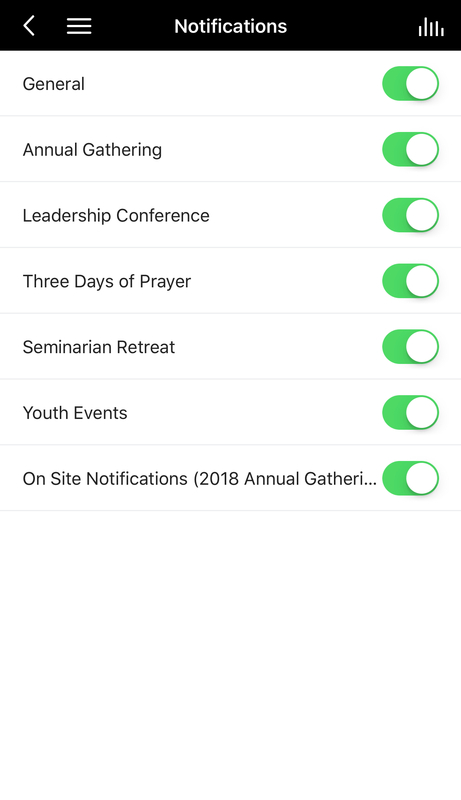 While attending a larger LCMC event such as the Annual Gathering, opting-in for on site notifications will allow you to receive any announcements or updates that are made during the event, such as meeting room assignments and service project information. You will only receive these types of messages for the duration of the event you’re attending. Don’t worry, if you sign up for our notification system we won’t spam you with constant daily messages. We’re just using this feature as a way to help make it easier to receive news updates in the most timely manner possible. If you haven't already, download our app on your phone or tablet. Open the app and click on the icon in the top left corner to access your inbox, notes, and app settings. On the Notifications page, simply toggle on anything you'd like to get updates about. Our Called 2: Follow youth event is coming to Grand View University in Des Moines, Iowa from July 17-20, 2018! Jesus said, “If anyone would come after me, let him deny himself and take up his cross daily and follow me. For whoever would save his life will lose it, but whoever loses his life for my sake will save it." Our youth event next summer will focus on these words of Jesus that call us out of ourselves and into something much greater! In the summer of 2016, we gathered over 300 youth and adults from 15 different states; next summer we hope to have even more. We will be staying in the air-conditioned dormitories on the campus of Grand View University with full access to all their amenities: gymnasium, food service, internet, student center and more. The registration per person remains the same as last summer, and it's all-inclusive, so people just need to get here! Food, lodging, bedding, internet, convention costs and materials for Tuesday through Friday is only $325. Our keynote speakers are Andrea Paulson, a pastor from First St. Paul’s Lutheran Church in Hastings, Nebraska and Kyle Fever, Ph.D., the Executive Director of the Nexus Institute, on the campus of Grand View University. Music and worship will be provided by Lutheran Church of the Cross in Altoona, Iowa. Music for the event will be available on our website beforehand so that participants can download and become familiar with it before the event begins. Our emcees next summer are Noah Ruppert, a pastor at Lutheran Church of the Cross, Altoona, Iowa and Chip Reynolds, a pastor at St. Paul’s Lutheran Church in New Braunfels, Texas. They will both also be participating in leading music and worship. We begin Tuesday evening with an opening worship service that sets the stage and theme for our time together. Wednesday is filled with breakouts and large group sessions, music and more. Thursday, we start with the keynote presentation, then a panel discussion called, “Ask the Pastors”. We spend the afternoon in service projects: Meals from the Heartland, working at Riverside Bible Camp and performing Random Acts of Kindness. Thursday evening is time to play on “the Green” outdoors with games, inflatables, music and ice cream. On Friday we will close our time together to be sent off to serve in our own communities and congregations. Registration opens December 1, 2017 for the first 350 participants. Mark your calendars! Lutheran Congregations in Mission for Christ's next Called 2 Serve youth event will take place July 17-20, 2018 at Grand View University in Des Moines, Iowa. Additional details will be available here and in our mobile app at a later date, so stay tuned! Thanks to the fundraising efforts of the congregations in LCMC, as well as the hard work put in by the volunteers at our 2016 Called 2 Serve youth event in Des Moines, we were able to package over 80,000 meals to help feed the hungry. Below is a letter that received from the staff of Meals from the Heartland. The team at Meals from the Heartland wants to thank you for your generous support regarding the LCMC National Youth Gathering packaging event held on July 21, 2016. With your financial gift of $48741 on 8/5/2016 and the help of 125 volunteers, a total of 80,784 meals were packaged during this event. Please know that your support makes a difference in the lives of thousands. In 2015 Meals from the Heartland packaged over 15 million meals to distribute around the world to help feed people in need of nourishment. Also in 2015 over 1 million meals were distributed in Iowa as well as elsewhere in the United States. We are thankful for the support that has allowed Meals from the Heartland to package and distribute over sixty-five million meals since its inception. The need continues and together with you we will carry on this critical work. At Meals from the Heartland our vision is to alleviate life-threatening hunger. Thank you for supporting our mission to empower people to feed the starving. We look forward to working with you on future events! 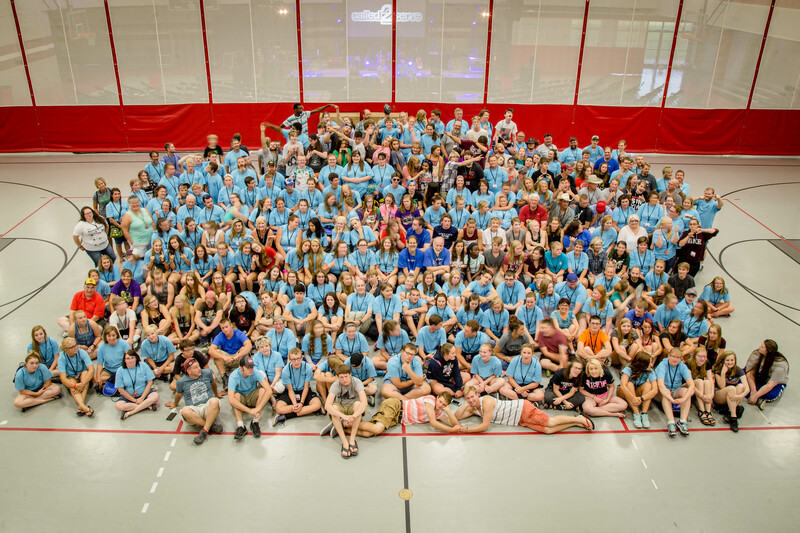 High school students and youth group leaders from across the nation headed to Grand View University in Des Moines last month to take part in our 2016 summer youth event, Called 2 Serve. According to Cathy Nichol, LCMC’s administrative assistant, a total of 300 people from 32 different LCMC congregations attended the four day event, which was designed to help strengthen the ministry of the local church by giving students a better understanding of what is possible in their own church and local community. The event featured keynote speakers Culynn Curtis, Pastor of Holy Cross Lutheran Church in Maple Lake, MN, Alex Krumm, Director of Student Ministries at Grand View University in Des Moines, IA, Ken Jones, Professor of Theology and Religion at Grand View University, and Jody Skogen, Director of Youth and Family Ministries at St. Mark’s Lutheran Church in Marion, IA, who emceed the event. Also speaking at the event were Kyle Fever, Pastor of Beyond Ministries and Director of Ingham Okoboji Lutheran Bible Camp, Jamie Strickler, Assistant Dean of Educational Ministry for North American Education at the Institute of Lutheran Theology, Wendy Berthelsen, Pastor of Hope Lutheran Church, and LCMC staff members Mark Vander Tuig, Steve Lien and Dan Clites. Throughout the week, students also had the chance to explore topics such as love, truth, their "call", the life that Jesus promises and how to follow Jesus during high school by taking part in interactive breakout sessions and enjoyed music performed by the worship band at Lutheran Church of the Cross in Altoona, IA. On Thursday, participants had the option to take part in one for four different service projects that were geared towards making a real difference in the local Des Moines community. Approximately one third of participants opted to help pack meals for the hungry with non-profit organization Meals from the Heartland. After exceeding our goal of raising $10,000 in donations from LCMC congregations (enough to purchase enough supplies for 50,000 meal kits), volunteers were able to package a total of 80,784 meal kits in under three hours. 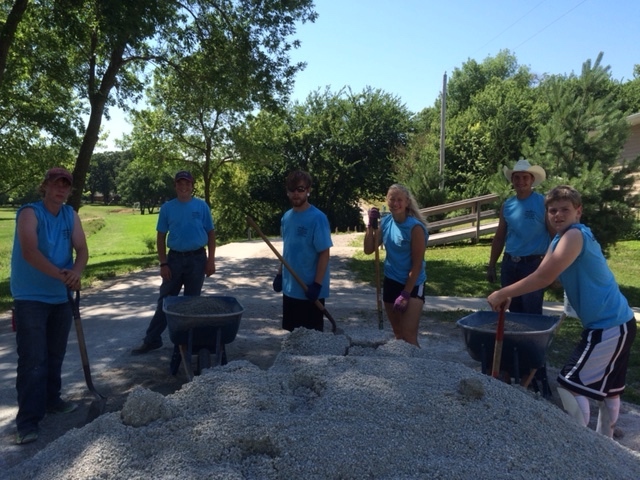 Another group of volunteers chose to visit Riverside Lutheran Bible Camp, where they laid a gravel path, mulched the facility's low ropes course, cleaned and weeded any landscaped areas, mulched a whole trail and stained a large fence. A third group met up with the people at Hope Ministries, an organization who seeks to help meet the spiritual, physical and emotional needs of people who are homeless. Participants volunteered at some of the various sites that Hope Ministries operates, performing tasks such as cleaning and organizing items at a local thrift store. A fourth group went out into the local community to perform random acts of kindness, such as cleaning up a local park, giving away cookies, cleaning up several areas on the Grand View University campus, and handing out bottled water to people with scripture verses attached. Participants also enjoyed an ice cream social featuring Peanut Butter Belly Buster, Cake Batter, Knee Deep in Chocolate and Cookies & Cream flavors from Over the Top, followed by a live concert by christian rock group Remedy Drive. "This was by far one of the best weeks I have ever had and I thank you all for it. God Bless." "Longer! I loved it and I wish it was longer! Breakout sessions more interactive and how it's applicable to life." "I loved how service project was incorporated with the event. This was an excellent event. I am looking forward to the next one." "Thank you for your hard work! God moved in some awesome ways!" "We had a wonderful time at the National Youth Gathering. Having attended two NYG in another denomination, I appreciated that there was no political agenda or ideological propaganda spewed forth at our kids. It was nice to be centered in the Word, what Jesus has done for us, and the privilege to share that message as those Called2Serve." "Our group of [people] were barely more than Sunday friends from multiple high schools and wound up growing personally and collectively in Christ. They're bonded with big ideas for God now! Two, who've attended church their entire lives and been confirmed, shared with me that it was the very first time they were truly feeling a personal connection to Jesus, prayer, and seeing how Christian support works. I'm so grateful! These ladies arrived home and were so on fire that our pastor is devoting an entire Sunday service/sermon in August for them to share the Called 2 Serve Bible message, music, and a takeaway activity to hopefully inform and inspire our congregation to sharing their gifts, loving one another and being called to service!" "God moved in many ways: - Students started sharing their stories of faith with one another in small groups during family time - Students started thinking about going into vocational ministry maybe for the first time - Student spent her first extended time away from home, successfully! - Student became more of her aware of her actions and asked for forgiveness from leaders. - Student left the week with an understanding that serving is more than something we do it’s about who we are as Christians - Student felt the presence of the Holy Spirit during the Thursday night worship gathering - Student felt her calling to be someone who is there for her friends during difficult times. That is just SOME of the cool things God did during the youth event!" Over the past few years, "service" has become a central part of our Annual Gatherings. In 2014, we packaged almost 300,000 meals with Meals from the Heartland and raised over $90,000 to do so. Last year, we donated just over 160 pints of blood to a local blood bank in Texas. 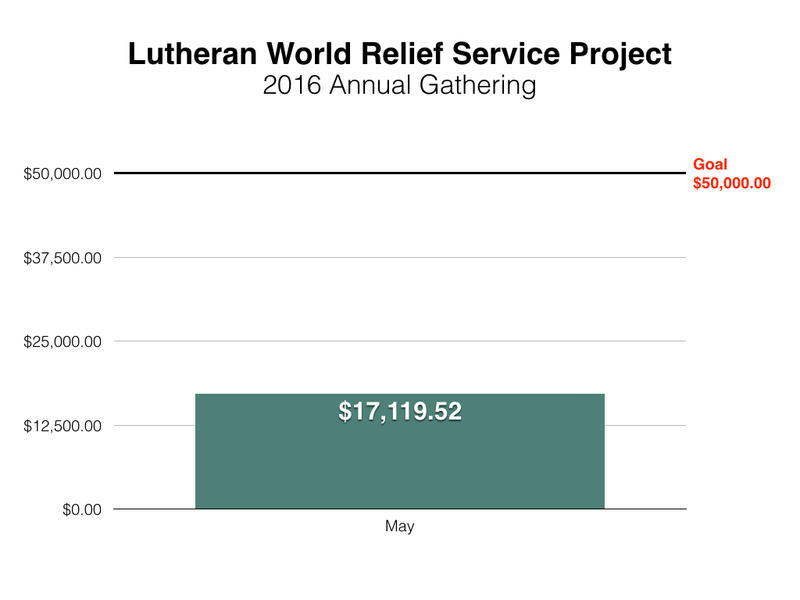 This year, we will be working with Lutheran World Relief to help assemble personal care kits at the Annual Gathering, and participants at our Called 2 Serve youth event will be packaging meals with Meals from the Heartland. Our goal for this year's Annual Gathering in Denver is to assemble 10,000 personal care kits for those whose lives have been affected by natural disasters. To date, we have raised $17,119.52 of the $50,000 needed for supplies. If your congregation would like to make a donation to this project, click here. All donations must be received by July 1, 2016 so that we can acquire all necessary supplies. If you plan on attending the Annual Gathering this fall and are interested in helping assemble the kits, simply check off the "Service Project" box on your registration form. This summer, one of the service projects high schoolers attending Called 2 Serve will be taking part in is packaging meals kits for the hungry. Thanks to the generosity of our congregations, the staff of LCMC is pleased to announce that we have not only met our fundraising goal of $10,000 for the Meals from the Heartland service project, but have exceeded it with a total of $15,743.15! Thank you so much for helping make this project possible! First, Youth Are the Present. The best people to witness to other youth are the youth that we already have. The local church must do what they are able to train and equip youth to be disciples to their own generation. One of the best ways to do that is to build mentor relationships with mature Christian adults who can mentor youth in the development of their relationship with Jesus. Second, Youth Are the Near Future. One of the things that we have not done very well is prepare our youth for the next chapter. Many of our youth after leaving high school tend to struggle with their faith in a culture that pulls them in a hundred different directions. University campuses are not always friendly places for Christians and are we helping them figure out how to navigate that new setting? But almost no place in the culture: work, military, vocational tech, etc. is welcoming to young adults who also want to remain faithful to Jesus. Third, Youth Are the Further Future. One of the biggest issues we face is finding leaders for the local church who love Jesus, love the church and love the people the Holy Spirit brings. Raising local leaders for the local church must become a priority for each congregation. Fourth, Youth Are the Future Pastors. The vocation of ministry requires the brightest and the best that our congregations have to offer. People forget that pastors come from congregations...and so we need to find ways to help youth catch the vision that serving Jesus happens in every vocation, but the vocation of ministry is one of them. Being a pastor/leader of a congregation has been a great life for many and has been a great blessing to those families. We need more and more youth to ask the question: could God be calling me to consider pastoral ministry as my vocation? Our 2016 “Called 2 Serve” youth event is July 19-22, and registration closes March 1st. If you are planning to attend, please register! If you're headed to one of our spring or summer events, don't forget to register. These deadlines will he here before you know it! The registration deadline for Called 2 Serve is Tuesday, March 1. The event is open to students completing grades 8-12 and takes place July 19-22, 2016 at Grand View University in Des Moines, IA. Chaperones are required. The early bird deadline for our 2016 Leadership Conference is fast approaching! Pastors, church leaders and church members who register for the conference by Monday, February 29 will save $30 per person on the cost of registration. Seminarians who register in advance will also receive discounted admission. The event, themed Shift: Retooling Church, takes place April 10-12, 2016 at Lutheran Church of the Cross in Altoona, IA and features keynote speakers, worship, and a chance to connect with fellow LCMC-ers through interactive discussion groups. Registration is now open for Called 2 Serve, our 2016 youth event featuring keynote speakers, breakout sessions, service projects, mixers and an outdoor concert featuring christian rock group Remedy Drive. The event is designed to help strengthen the ministry of the local church by giving high schoolers a vision of what is possible in their own church and local community. Participants will have a chance to meet other high schoolers from all over the country, lend a hand to people in need, and gain a better understanding of what God might be calling each person to do within his or her local comunity. Students attending the event will have the ability to choose from three of five different breakout session topics, as well as one of four service projects. Participants also have the option to purchase discounted tickets to Adventureland Theme Park and Adventure Bay Water Park. The event is open to high school students completing grades 8-12. For the safety of the students, a minimum of 2 chaperones is required per group, with 1 adult for every 5 youth attending. The cost to register is $325.00 per person, which includes housing and all meals listed on the conference schedule. Priority will be given to pre-registrants for air-conditioned housing. Called 2 Serve takes place July 19-22, 2016 on the campus of Grand View University in Des Moines, IA. For more information, click here. This week, 744 people from the U.S. and abroad traveled to Frisco, TX for the Lutheran Congregations in Mission for Christ 15th Annual Gathering. The theme this year was “Our DNA”. The event kicked off on Sunday night with dinner and an opening worship service featuring Pr. Becky Hand from Life in Grace Lutheran Church of Odessa, TX and the worship team from Martin Luther Lutheran Church of Giddings, TX. Dessert and a reunion for all church planters within the association followed the service. Monday morning opened with worship led by Our Saviour’s Lutheran Church of Victoria, TX and Bible study with Rev. Steven E. King, Managing Editor of Sola Publishing. Rev. Dr. W. Bruce Wilder, Senior Pastor of First Lutheran Church in Albuquerque, NM took the stage as our first keynote speaker, followed by a panel discussion featuring LCMC Service Coordinator Rev. Mark Vander Tuig, Rev. Bill Sullivan (Lead Pastor of New Life Lutheran Church and former Service Coordinator of LCMC) and LCMC Director of Operations Sharon MacFadyen. During the afternoon session, LCMC Coordinator for Pastoral Ministry Rev. Steve Lien announced the association's 2016 Leadership Conference, which will take place April 10-12, 2016 at Lutheran Church of the Cross in Altoona, IA. The theme for next year’s conference is Shift: Retooling Church. He extended a special invitation to young pastors and church leaders for the event. Steve then invited district leaders, certification interviewers, new congregations, new pastors seminarians and military chaplains to stand and be recognized. Pastors who are currently celebrating ordination anniversaries of 25, 30, 35, 40, 45 and 50+ years were also recognized. During the Service Coordinator’s report, Rev. Mark Vander Tuig announced two events for 2016, Called 2 Serve and Three Days of Prayer. Called 2 Serve is an LCMC youth event for high school students, which will take place at Grand View University in Des Moines, IA from July 19-22, 2016. Registration for this event will open soon. During the opening business session, Pastors Sean Kelly (Area 1) and Enrique Estrada (Area 7) were re-elected to the Board of Trustees. Laurel Swanson was re-elected as Treasurer. The afternoon concluded with a fellowship dinner, giving LCMC-ers a chance to connect with a fellowship group or district of their choice. There will be more detailed information to follow, but I wanted you to know: it’s going to happen!